6. 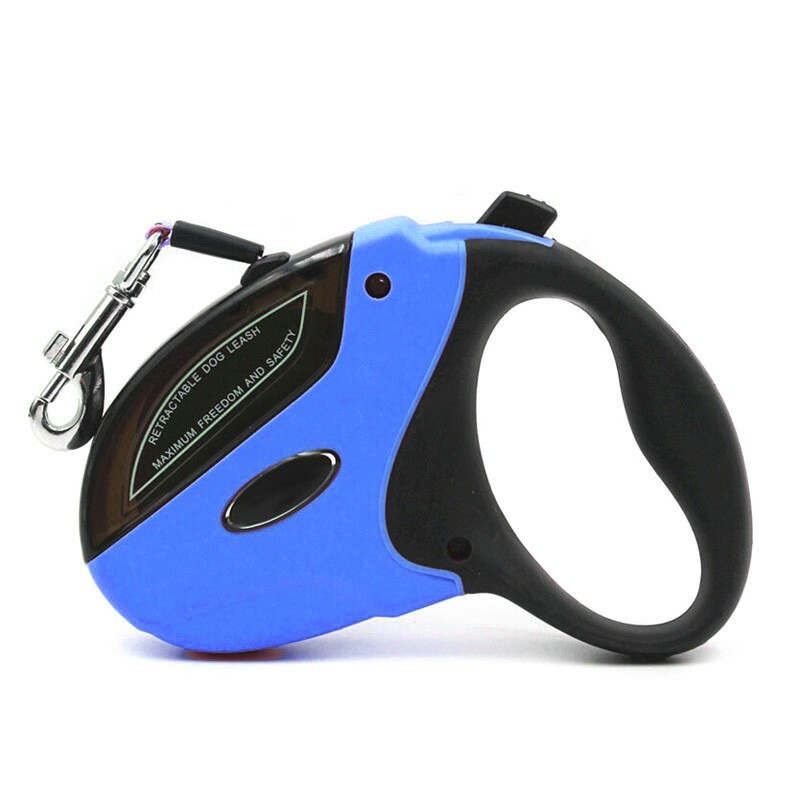 Retractable dog leash is suitable for all breeds of pets up to 111 lbs. In order to achieving strong construction, we hand pick every material in our design including eco-friendly ABS coating, durable nylon strap and non-rust zinc alloy hook. All the metal parts are at least 4 times stronger than normal design, which ensures maximum safety performance, making sure long-time use and reliable control. Walking your dog in an open area with one hand lock,release and recoil control via single button is very stylish and you can always find a suitable and comfortable length for you and your pets. Soft-grip handle offers unmatchable touch and using experience. 360 degree tangle-free design offers maximum freedom for pets, which allows dogs to be dog.Our coiling system works silently to offer a comfortable using experience for your pets. Our design is the best choice for walking your dog in winter. As all of our materials are high quality and can work in any weather conditions, the freezing temperatures will not impact the great working performance of our design. Feel free to walk your dog in winter with us! -Keep retractable dog leashes away from fire and kids under 3 years old. 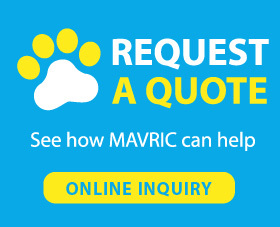 -Mavric, a professional pet products manufacturer, offers all kinds of cool dog leashes. 1 year warranty is offered by us. If you have any question about pets or products, please feel free to contact with us. The First Thing You Need to Know about "How to teach a dog to walk on a leash"
You need to introduce a leash for your pets, only when your pets are getting familiar with the leash will them be willing to be controlled by the leash. And a familiar leash can release their stress in training, which can help you a lot. Letting them wear the leash for a short time when you are playing with them or feeding them. We recommend you to do the first step at home. Because home is always the sweetest place for both animals and human. Your pets will feel comfortable at home and carry less emotion and stress, which we guess it's the best place to introduce them a leash for training. And your pooch will love the leash because that means food and fun for them. Clasp is light weight and retraction is "soft" so our dog can act as if he was NOT on the leash which helps us train him for off-leash. Lock is easy to engage or disengage. We have been searching for a quality retractable leash after ours recently died. This leash is by far the nicest I've seen, especially for the money! Thinking about getting anothe as a backup! Only had it a short period but seems very well made with positive locking mechanism and comfortable handle. Would be even better if leash length was a little longer. We love the leash(es). We bought two of them, for both of our dogs. They love them too! One dog is bigger than the other, and she pulls a lot when she sees other dogs, and this leash does a good job of controlling her. They are very smooth and easy to retract. This is a great retractable dog leash. I am thrilled it has lasted so long. Most break within a very short time as my 50# dog likes to play so he lunges and pulls and the retractor device on other brands is broken quickly. This has not happened with this leash. He also likes to bite on the leash but he has not been able to bite through this nylon - it doesn't even look worn. I am very pleased with this retractable dog leash.